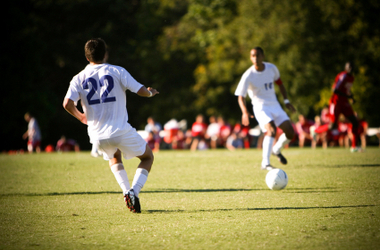 You’re at the top of your game and schools are clamoring to recruit you to play on their teams. Before you sign on the dotted line, ask these questions to make sure you’re picking the right athletic program for you! 1. Does the school offer the academic program that interests me? 2. What are the academic performance requirements to remain a student athlete? 3. What is the level of academics? Is it too demanding? Is it too easy, and therefore not challenging? 4. What importance does the coaching staff place on academic success? 5. What is the graduation rate among athletes here? And how does it compare to the graduation rate of the general student body? 6. What kind of career preparation services does the school offer? 7. Does the school offer tutoring or other academic help services? Are any geared specifically toward student athletes? 8. What kinds of athletic scholarships are available? Are they renewable? 9. What are the conditions for maintaining my funding? 10. What happens if I’m injured and unable to participate in my sport? 11. What is the level of athletic competition? 12. What’s the reputation of this program? Have there been NCAA violations? 13. How much time per week is required for practice? 14. What sort of rehabilitation program is available if I am injured? 15. How much traveling is involved? What is the policy for making up missed classes? 16. Are there special room and board arrangements for athletes? 17. If I am unable to play in my desired sport for any reason, would I still want to attend this college? Be sure to check with coaches, administrators and current student athletes to get the answers you need. Then make your decision. Check your scholarship matches for athletic scholarships and apply today.